Home » Green Building » What’s a SIP? What’s a SIP? Structural Insulated Panels, known as SIPs, are not a new idea. The whole concept actually began in 1937 when the United State Forestry Service began a quest to conserve our forests. The building industry started looking at foam core paneling in the 1970s with renewed interest, and it has since developed into an energy and cost efficient method that becomes a more mainstream option with each passing year. SIPs building systems are used for light commercial and residential building construction. The panels are assembled with an insulating foam core surrounded by structural boards. The foam core can be rigid polyurethane foam, expanded or extruded polystyrene. The facings can be oriented strand board, aluminum, steel, cement board, plywood or pressure treated plywood. The various types of materials used in the production of these panels are inherent in the final application of the system. For example, pressure treated plywood is used for below ground foundations. Metal SIPs are commonly used for cold storage or environmentally controlled storage buildings. The manufacturers of these products can produce custom fabrications for any building specification including timber frame homes. This flexibility allows for efficient construction with minimal labor costs and maximum energy efficiency. This extends from the material production to the completed building. With proper construction, a structure built with SIPs is extremely well insulated and airtight. Airtight buildings use less energy for climate control, so a SIP building is a cost effective method to reduce the ecological footprint. Environmentally responsible builders use SIPs panel construction as a means to reduce not only the energy costs to maintain the building, but to reduce the infiltration of contaminants and toxins as well. Pollutants like molds, pollen and radon can be minimized by airtight construction and proper ventilation systems. The indoor environment for healthcare facilities, schools and homes is an important issue that is effectively addressed with SIP construction techniques. SIPs buildings can help reduce annual climate control costs significantly. In general, SIPs have a much greater whole-wall R-value than comparable stud walls. However, this does require that the construction follow industry standards. Any voids must be filled to ensure proper insulation. The correct adhesives and sealants must be applied to prevent air and moisture intrusion into the building. 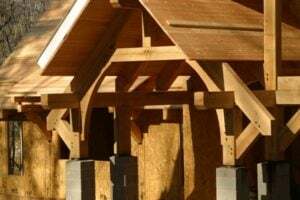 When all the factors are taken into account, building costs for wood frame construction and construction using SIPs are very similar. Since SIP construction takes less on-site construction time, there is a savings in labor costs. With properly sized members ready and waiting to be fitted into place, the job is done in specific stages. There is little waste of either time or materials since the panels are constructed specifically for each building. On-site modifications to the individual panels is minimal. Extended savings are accomplished with smaller heating and cooling systems because of the improved insulation and airtight nature of the SIPs building. Structural Insulated Panel technology has developed to make it an economically sound alternative for the average construction company and homeowner. SIPs building systems are important as we look for ways to control ever-growing energy costs and attempt to become more ecologically responsible.